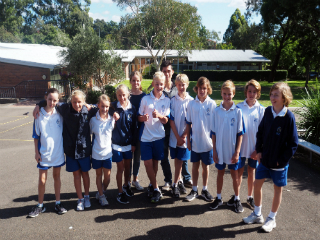 The Young Lasallian team from Lasallian Mission Services, delivered yet another successful Confirmation Retreat program at Our Lady of Fatima Primary School in Caringbah, for an enthusiastic group of Year 6 students. Launched in 2016, Receive the Power has fast become an innovative program aimed at preparing students for their Confirmation Day while helping to strengthen ties between Lasallian youth ministry, local schools and parishes. "It's a great opportunity to reach beyond our Lasallian schools and offer a positive experience for students as they prepare for their first Confirmation," explained Ministry Coordinator Jordan Bottalico. 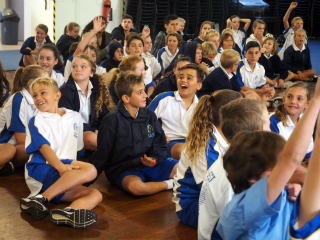 With a keen flair for role play and teamwork, the group of 94 Year 6 students happily engaged in the activities and discussions led by Youth Ministry Coordinator Philippe Dulawan, Assistant Youth Ministry Coordinator Jordan Bottalico, Youth Minister's Sebastian Duhau, Jake Wedesweiler and Holly Johnston. Also on hand were a number of Year 11 and 12 students from De La Salle College Cronulla, who helped to facilitate the day, adding to the overall success of the retreat and relevance for the younger students. 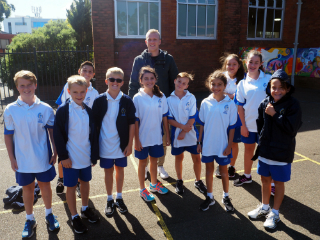 Local parishes and primary schools have praised the team for the tailored program that is widely accessible and delivered at the student level, creating total immersion in the content and activities. For more information please contact our Young Lasallian team to learn more about the tailored Retreats on offer (02) 9735 6400 or email Joanne Nehme.